Valutata dagli ospiti dopo il soggiorno presso Alpha Omega (ΑΩ) apt. My host was very nice and helpful. He gave me numbers of good taxi's and location of bus terminals, tours, etc. The bed was more comfortable than my own at home! The owner was very pleasant and picked us up from the airport. He also allowed us to stay until 3pm on day of departure and took us back to airport. ( If Demitris does not meet you it is possible you will have difficulty in finding the place ) Taxis from the main road outside the apartment into the town centre are less the 5 euros and there are many bars and restaurants to visit in the evening. Υπέροχη τοποθεσία δίπλα στην παραλία Θεσσαλονίκης που ήταν υπέροχη για βόλτα μια και συνέπεσε τις μέρες που πήγα να έχει μια φανταστική λιακάδα. Μαγευτικό ηλιοβασίλεμα δίπλα στη θάλασσα. Το διαμέρισμα είναι ιδιαίτερα καλά εξοπλισμένο με οτιδήποτε μπορεί να χρειαστεί κανείς, και όλα ήταν καθαρά. Πολύ αξιόλογο το φυλλάδιο-βιβλιαράκι που έχει φτιάξει ο Δημήτρης για την ιστορία της περιοχής (τη λεωφόρο Βασιλέως Γεωργίου). Άριστο wifi. Ισόγειο διαμέρισμα σε πεζόδρομο, πολύ κοντά σε κεντρική λεωφόρο και ταυτόχρονα με υπέροχη ηχομόνωση, μαγαζιά (σουπερμάρκετ, φούρνος, φαγάδικα ). Εξαιρετικά καλαίσθητο το υπνοδωμάτιο. Πολύ καλή σχέση ποιότητας-τιμής. Ιδιαίτερα βολικό για κάποιον που θέλει να κινηθεί στο κέντρο της Θεσσαλονίκης, βρίσκεται δίπλα στη Νέα παραλία και στις ομπρέλες. Μου άρεσε που ήταν κοντά με την δουλειά που είχα, ήταν καθαρό και περιποιημένο επίσης ο οικοδεσπότης ήταν άψογος και εξυπηρετικός. Очень приветливые и заботливые хозяева, особенно порадовало наличие минимального набора продуктов (приехали поздно по крайней мере завтрак был обеспечен), чистящих и моющих средств, в наличии вся кухонная утварь и домашняя техника, все в рабочем состоянии, возможность общения на разных языках с хозяевами, была предоставлена необходимая информация и инструкции ( как пройти на рынок, как попасть на кораблик до пляжей с расписанием). Очень удобное расположение, рядом набережная, магазины, кафе, центр города. Очень рекомендую, особенно если будете арендовать машину. Η περιοχή καταπληκτική! Βρίσκονται τα πάντα τριγύρω. Η συγκοινωνία εξυπηρετεί προς ολες τις κατευθύνσεις. Το σπιτι αν και παλιο ειναι πολύ καθαρό. Μονο μειονέκτημα το μικρό μπαλκόνι. Ο ιδιοκτήτης εξυπηρετικοτατος και ειχε προνοησει για ολα! Ευχαριστουμε πολυ για τη φιλοξενια! Πολύ καλή τοποθεσία του διαμερίσματος. Απέναντι από το Μακεδονία Παλλάς και κοντά στις στάσεις Ευζώνων και Φάληρο. Ισόγειο για εύκολη πρόσβαση. Καθαρό γενικά. Цена-качество. Ночевали одну ночь - вполне нормально. Assicurati un ottimo prezzo per Alpha Omega (ΑΩ) apt, valutato di recente dagli ospiti con un punteggio di 8,9. Situato nel centro di Salonicco, a Salonicco, a 700 m dal Museo Archeologico e a 1,7 km dalla Rotonda e dall'Arco di Galerio, l'Alpha Omega (ÎUDAI©) apt offre un alloggio attrezzato con balcone e connessione WiFi gratuita. 1,9 km dalla Torre Bianca. L'appartamento presenta 1 camera da letto, un soggiorno con TV a schermo piatto, una cucina completamente attrezzata con forno e 1 bagno. A vostra disposizione anche una terrazza. Durante il vostro soggiorno all'Alpha Omega (ÎÎ ©) apt potrete giocare a tennis o fare escursioni nei dintorni. La struttura dista 2 km dal Museo della Lotta Macedone e dal centro espositivo di Salonicco. L'Aeroporto di Salonicco, il più vicino, dista 15 km. Quando vuoi soggiornare presso Alpha Omega (ΑΩ) apt? Appartamento con bollitore elettrico, forno e balcone. A lovely one bedroom apartment (total 50 sq. 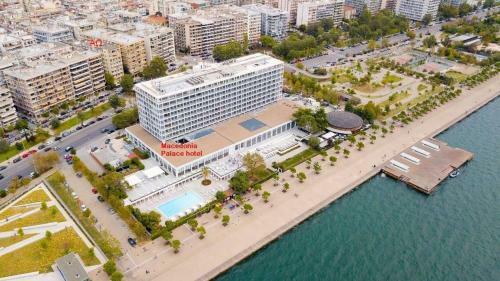 m) in an amazing location, located on the opposite side of Macedonia Palace hotel, steps away from the waterfront of Thessaloniki, which is just across the street.. Only 10 minutes away from the Archaeological Museum, Byzantine museum and/or the White Tower. With an easy access to the university of Macedonia or the Aristotle university of Thessaloniki, the Helexpo convention center, City hall, and the Theageneio (ΘΕΑΓΕΝΕΙΟ) hospital. In the bedroom there is a 160cm x 200cm bed and in the living room a coach which can be used as a 150cm x 200cm bed. Offers all the amenities you will need for a comfortable and quiet stay, wi fi, fully equipped kitchen, coffee machine, hair dryer, towels, cotton sheets and washing machine! Feels like home! 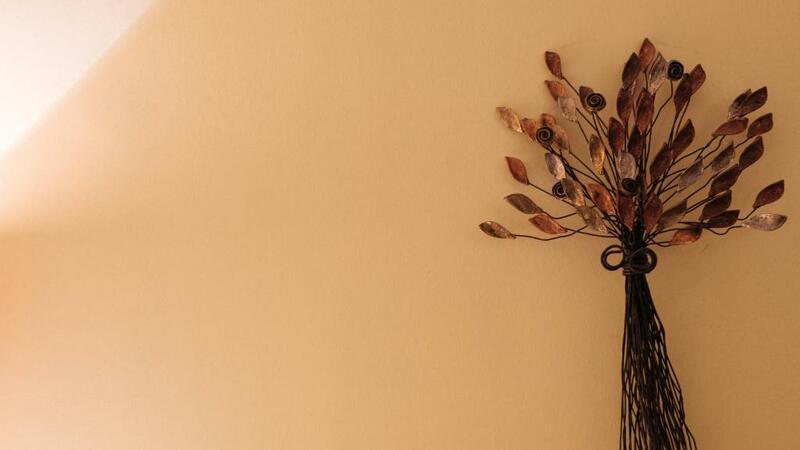 You can use everything that is in the house. They are all to provide you an easy and comfortable stay. 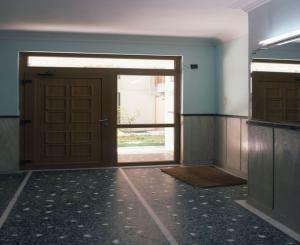 You will be welcomed to the apartment in person and showed around. During check-in, you will be given a detailed description of the flat’s amenities, many tips on where to dine and shop in the area, which buses to use etc. Having developed a sense of hospitality, I love my guests to feel comfortable and cozy in my house. I have hobbies like photography, gardening and reading history. My favorite motto is to "do good and good will come back to you". At the same time, i am passionate about travelling the world, discovering exciting new places and meeting interesting people. Before booking with me, feel free to get in touch if you happen to have any questions about my listing. 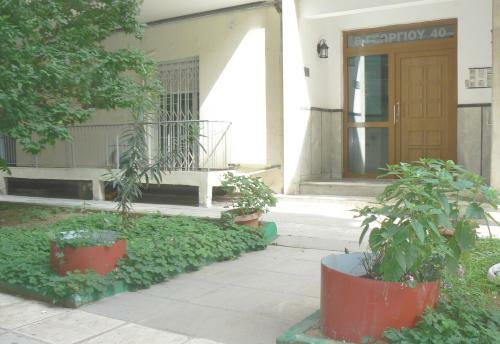 The flat is situated just a few steps away from Thessaloniki's breathtaking sea front. The neighborhood is quite calm and one of the safest, great for leisurely strolls, popular local cafe's, bars, bakeries, swanky restaurants, banks with ATM's and pharmacies . Close to THEAGENEIO hospital. There is convenient public transportation just up the street to and from the airport with the public bus transit. Taxi's are also readily available. Thessaloniki can be easily explored on foot! You will find yourself within walking distance from the universities and some of the most important historical and cultural sites of Thessaloniki. The area is ideal for walking or jogging along the seafront of Thessaloniki or among it's beautiful gardens by the seafront. The garden of the rising sun is 200m away. Bus station is less than 200m away from the apartment, while the busses from airport and central train station pass by. From June to September there are BoatBus that transfer you to Peraia or Nei Epivates beach for swimming. 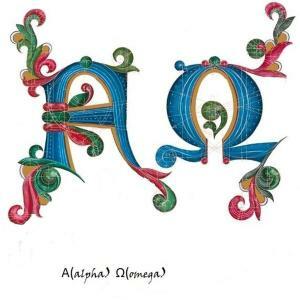 Leggi prima di prenotare Alpha Omega (ΑΩ) apt accetta le richieste speciali. Aggiungile nel prossimo passaggio! Siete pregati di comunicare in anticipo a Alpha Omega (ΑΩ) apt l'orario in cui prevedete di arrivare. Potrete inserire questa informazione nella sezione Richieste Speciali al momento della prenotazione, o contattare la struttura utilizzando i recapiti riportati nella conferma della prenotazione.